How much will it cost to study off-campus? 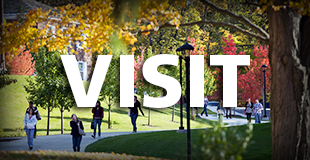 To make arrangements for a visit to campus, contact the Admissions Office at 800-952-9355. "I just got a glimpse of the school and I loved it. All you see coming up is the lake, and you just think—oh my goodness—I did not know a place like this existed!" A strong background in the liberal arts ensures that you become a well-rounded individual who knows how to effectively communicate and collaborate with people, as well as combine your talents in creative and practical ways. 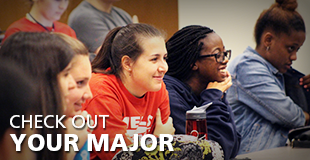 Check out our academic programs to see how you can pursue your passions (yes, all of them!) at Wells! 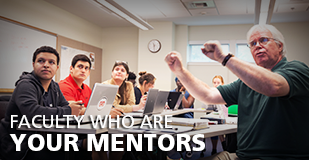 At Wells, you will develop connections with your professors that extend far beyond the classroom. Our faculty are not only award-winning leaders in their fields, but also your friends and mentors. They will help you tie your interests to career goals, network with industry professionals, and—last but not least—find your path. College is a time to explore. Why not take your education on the road? Take a closer look at one of our 20+ study abroad programs and add world traveler to your résumé. The Wells community is like no other. We treasure our timeless traditions that connect Wellsians across generations. You will make memories here! 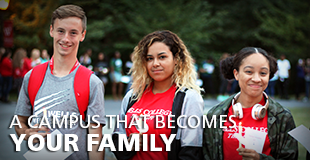 We invite you to become a part of our strong undergraduate academic program and close-knit community of scholars. Start your application today! We'd love to show you around our beautiful, lakeside campus in scenic Aurora, New York. Start the journey toward achieving your bachelor’s degree at Wells! Want more information about Wells designed just for you? Click the button below to leave us your information! Explore our site. Check out our social media. Give us a call. Request a view book. Come visit. Get to know us! Wells College promises a relevant liberal arts and sciences education. Intellectually challenging. Reinterpreted for today. Classroom teaching combined with hands-on learning. Wells graduates enter the world prepared for successful futures.